Kaua’i may be the smallest of Hawaii’s main islands, but it is also the oldest — about six million years old! 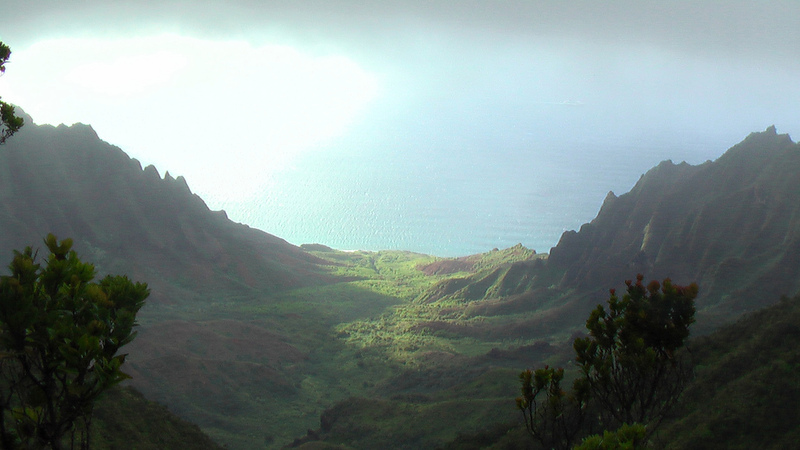 Kaua’i is filled to the edges with lush green spaces, perfect for hiking and exploring. It’s not called the “Green Isle” for nothing, you know? The Alaka’i Wilderness Reserve is a dense, rainforest landscape. It stands at its highest some 4,000 to 4,500 feet above the Pacific. This makes it the highest rainforest in the world! It is located on a plateau near Mount Waiʻaleʻale, one of the wettest spots in the world! Lonely Planet calls it “otherworldly.” As you can tell, it’s quite the place! Make sure you pack your hiking boots and an extra bottle of water, because this trip is not for the light-hearted. There are a few different trails, many of which are now conveniently covered by wooden boardwalks. 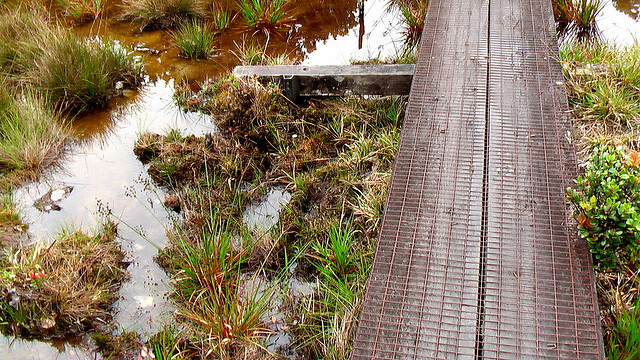 Boardwalks are great because it means you don’t have to get your boots all muddy. They also protect the surrounding plants from being disturbed by hikers. Everyone wins! The flora and fauna in Alaka’i are truly unique. It is considered one of the most precious spaces of biological diversity in all of Hawaii. “These are just amazing areas. Everywhere you look, you are surrounded by incredible native Hawaiian birds, plants and insects. There is nowhere in the state like quite like it,” said Jeff Schlueter, Kaua‘i Natural Resource Manager for The Nature Conservancy. Waimea Plantation Cottages: Early-1900s restored plantation bungalows in Waimea. Black sand beach (not recommended for swimming), swimming pool. $130-$650. (800) 992-4632. Kokee Lodge: Twelve cozy cabins equipped with refrigerators, stoves, hot water, and linens. Reserve at least three to five months in advance. $35-$45 a night. Breakfast and lunch served in the restaurant; bottled water and snacks for sale in the gift shop. (808) 335-6061. Kokee State Park: Eight campsites. Rest rooms. Permit ($5 a night) and reservation required. (808) 274-3444. More Camping: Sugui Grove and Kawaikoi are two campsites near the Alakai Swamp trailhead. Permit (free) and reservation required. (808) 274-3433. Thanks to Rick McCharles for the photos!